Labii ELN & LIMS vs LabWare, Which one should I choose? This article contains all my original notes for the blog: Comparative Analysis of Labii and LabWare in ELN & LIMS. Labii Inc. is a software company headquartered in San Bruno, CA. that develops and distributes Electronic Lab Notebook (ELN) and Laboratory Information Management System (LIMS). LabWare is a company that develops and implements Laboratory Information Management Systems and Electronic Laboratory Notebooks. Labii is a silicon valley startups while LabWare has been established for a long time. and stores the data in its own data center(s). Advantage on Premises: full control of the data. Disadvantage on Premises: Need to manage computer infrastructure, need to take risk of data lost because of an angry employee, water, fire damage, huge cost upfront to purchase the infrastructure and hire technical specialists. Disadvantage on Cloud: not fully controlled. Choose a solution based on mindset, law, budget. With the improvement of technology, more and more people go with Cloud solution. Labii as a startup is consistently adding new features and upgrades with new technology (3 version in 3 years). LabWare is trying to be stable and very conserved in new upgrades (7 version in 38 years). If you expect your reported problem/features get resolved much faster, use Labii. If you prefer stable, no changes to the procedure, use LabWare. Labii creatively merge the ELN and LIMS into one system, ELN as one special type of data to manage in LIMS. LabWare provides traditional ELN and LIMS, two products are separate. If you need to cross-references the data between ELN and LIMS, use Labii. Labii is one solution for all your research data. It provides high-level customization to the type of data to store (notes, reagents, protocols, et.al), the attribution of the data, and the detail of each record. LabWare has achieved success by meeting commitments and exceeding expectations in LIMS and ELN projects large & small, local & global, routine & complex. LabWare has been in the market for a very long time, but with the advancing of the computational technology, LabWare failed to address the old and new problems that had for most of the companies. This is why Labii and other startup step in, to fill the ELN and LIMS with new blood. Labii is designed for the companies with any size. LabWare is for big companies only. Check out their homepage and you know exactly what I mean. If you are looking for a user-friendly interface, use Labii. Use Labii because, beside the Text editors, Labii provides a variety of other widgets to use in the ELN. Meet the requirement of GLP and FDA 21 CFR part 11. Blockchain enhanced Version Control and Activity Tracking. Labii is the only ELN & LIMS that secured with blockchain technology make it impossible to false manipulate data. Whoever has access to LabWare database can fraud the research data. LabWare provides fixed modules to manage samples, projects, reagents, folders. LabWare is fixed, you can only use the module they provided to manage a certain type of data. Labii is more flexible. You can add a table to manage any type of data. 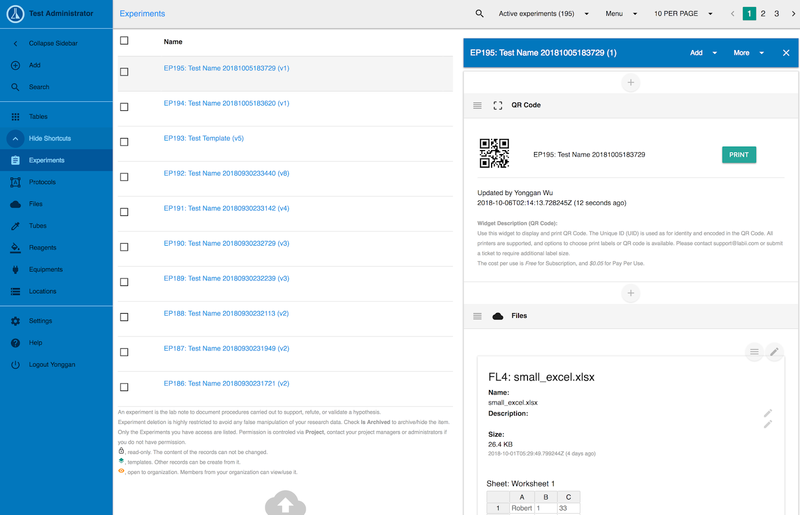 Use Labii because Labii can manage all type of data the LabWare can manage, and have the flexibility to manage other types of data. Labii can track the usage of samples. Widgets are available to record how much samples/reagents are used in an experiment, and to show the consumption history of a sample/reagent. Tracking the shipment of Samples. LabWare is good for lab managers, who only need to track samples. Labii is for everyone at the organization: beside the sample tracking, bench scientist can use Labii to document research data, data scientists to use Labii to perform data analysis, et.al. LabWare has more advanced workflow management. Labii is constantly upgrading and learning from customers’ requirement and could catch up in a few months. With LabWare, you can only do what the software can do. With Labii, the door is open to tons of possibilities, you are not limited to what Labii provided, the data scientists can use the API to meet their specific needs. Labii ELN & LIMS is also data-analysis friendly. LabWare does not have such capability. Mobile and Tablet Support in the browser. Native App development in the process. A native App is available based on its Ads, but I am not able to find it in Apple Store or Android Store. None of LabWare and Labii are actually mobile-friendly. Both of them can perform certain actions in mobile, but it is really difficult to use. Support tickets, the team replies within 24 hours. Unless you are a big company, otherwise the cost of support from LabWare will make your bankrupt. The Support from Labii is much easier to access. 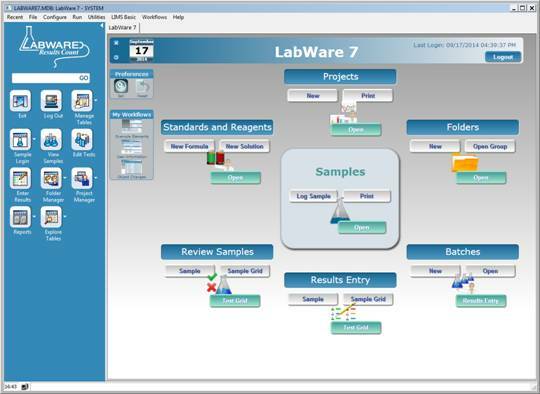 The training and configuration are free at Labii, while, you need to pay $7300 out of pocket to get trained at LabWare. Pay less and get more from Labii. If you are a big company, does not care about the budget, seeking a stable solution that does not require many changes, LabWare is the solution to go. Just like the conflict between old and new technology, LabWare is established, expensive and outdated, while Labii is new, scalable, avoidable and armed with new possibilities. Although in the market in a very long time, LabWare is failed to make the adjustment to meet the new requirement.